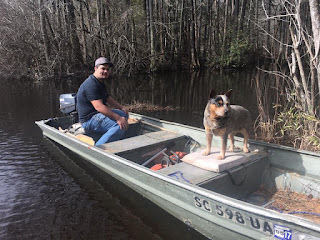 I was thrilled to hear that my old friend Doug Busbee cleaned up the Aiken State Park Canoe Trail on the South Fork of the Edisto River again so I can kayak through again. 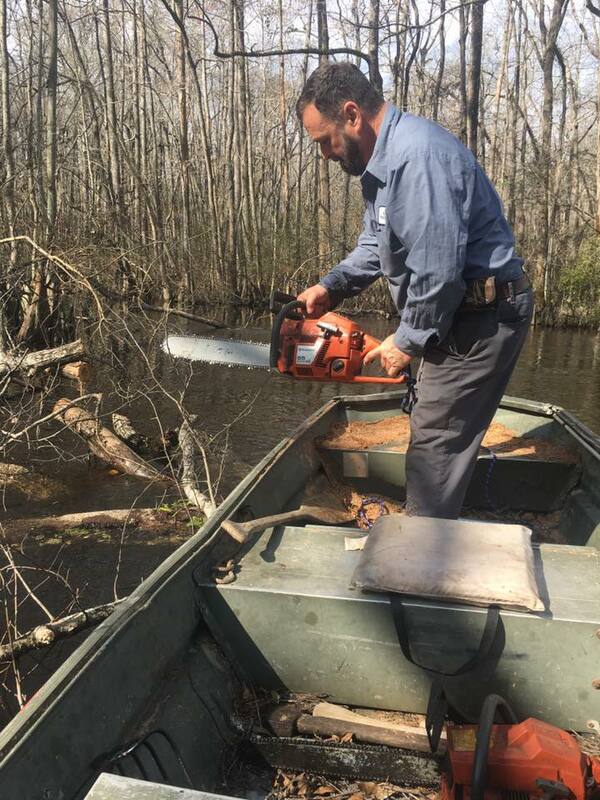 I went with him one time when he did this after a hurricane, I know it can be dangerous and definitely time consuming. I am very appreciative of his efforts. It was truly a privilege and honor to have Jacob Chavious driving the boat yesterday for me as we cleared some trees out of the canoe trail on the South Edisto river at the Aiken State Park. Jacob is a direct descendant of the Edisto Indians that have paddled this river for hundreds, perhaps thousands of years. Jacobs family is the closest thing that I am aware to being true native Americans in Eastern Aiken County. At one time in the early 1700s the Edisto river and adjacent lands were deeded to the Edisto Indians by the King of England. The Edisto Indians were known for their oarsman and guiding capabilities in the black water swamps of the Edisto and brought many trading parties up the river deep into the midlands of South Carolina. Jacob and his family are still known locally to be some of the best fishermen, oarsmen and possessor's of infinite knowledge of the black water jewel that we call the Edisto! If one should want to know more about the Edisto Basin's native people check out the Beaver Creek Indians that meet in Salley, SC once a month. Jacob, Thank you once again for sharing your time and teaching me the value of conservation of our most precious resource, Water! You did a great job!